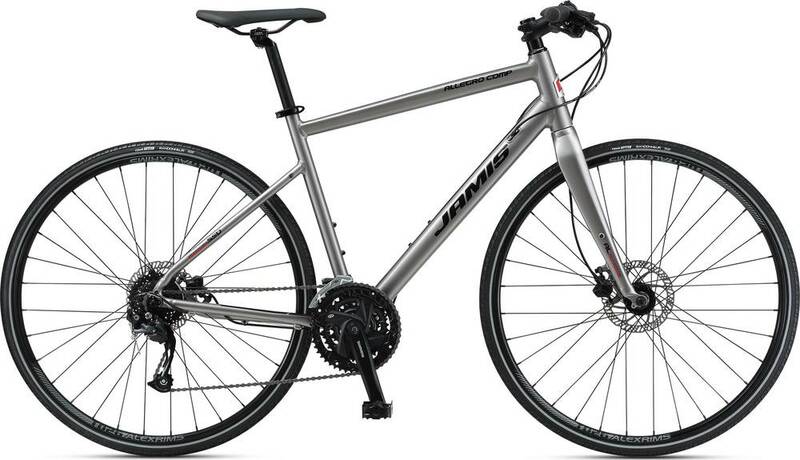 The 2019 ALLEGRO COMP is an aluminum frame fitness bike by Jamis. Shimano FC-M371, 48/36/26, 170mm (15-19”), 175mm (21-23”). The 2019 ALLEGRO COMP is easier to ride up hills than similar bikes. Similar bikes won‘t keep up with the 2019 ALLEGRO COMP while riding downhill or sprinting.